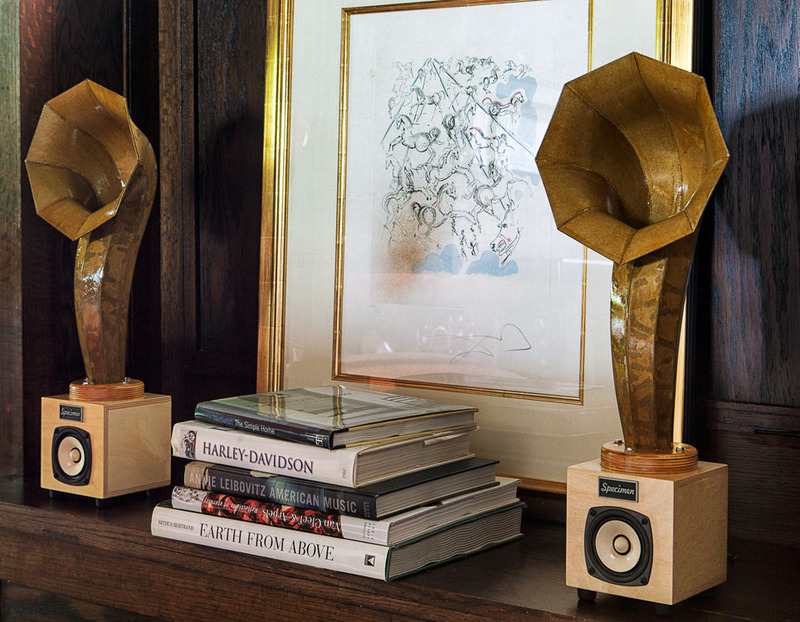 The Little Horn Mini audio speakers are the smaller ‘cousins’ to our Little Horn Speakers. 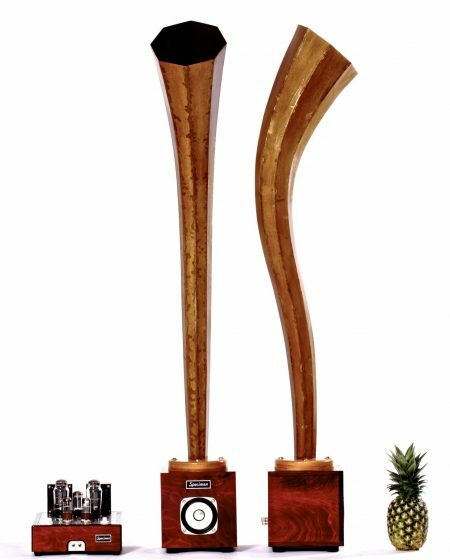 They stand at about 23″ tall and are ideally sized for desktop, bookshelf or counter-top placement. 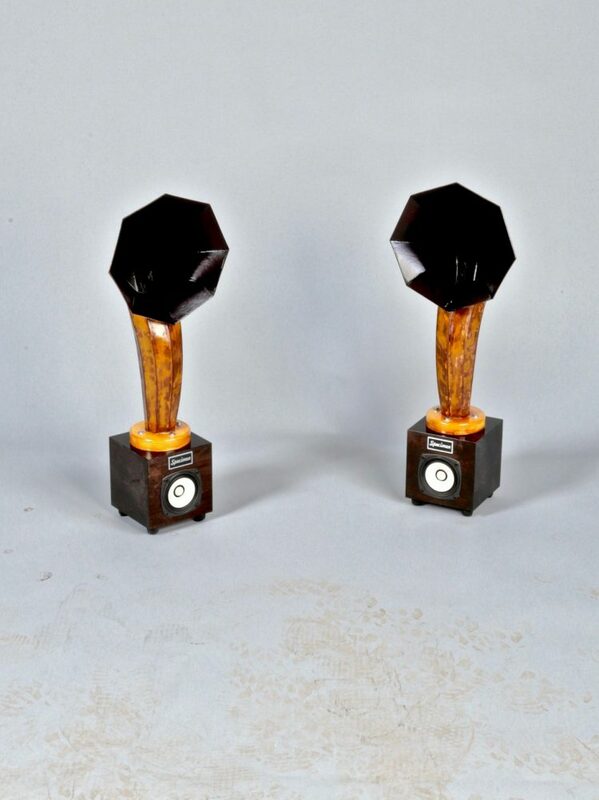 The Little Horn Minis can be used with any stereo system. 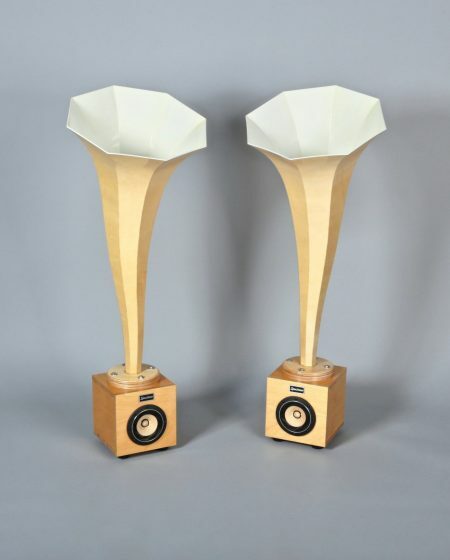 Pair these speakers with our matching stereo tube amplifier and create a unique ensemble that an iPod, CD player, or any other sound source can be plugged directly into. 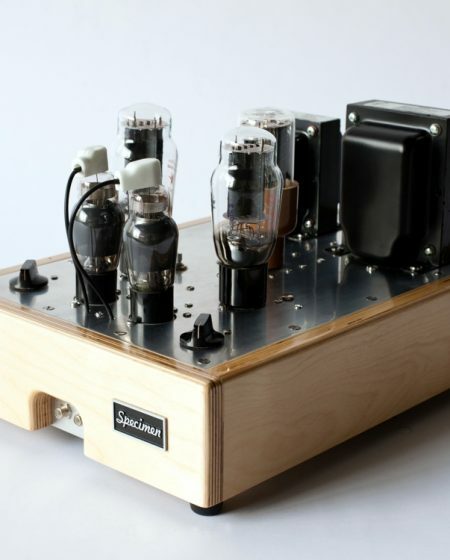 Or for a minimalist setup, pair the Little Horn Minis with Specimen’s Satellite/Sub-woofer. This self-contained unit connects directly to your iPod, mp3 player, computer, CD player, or other sound source. 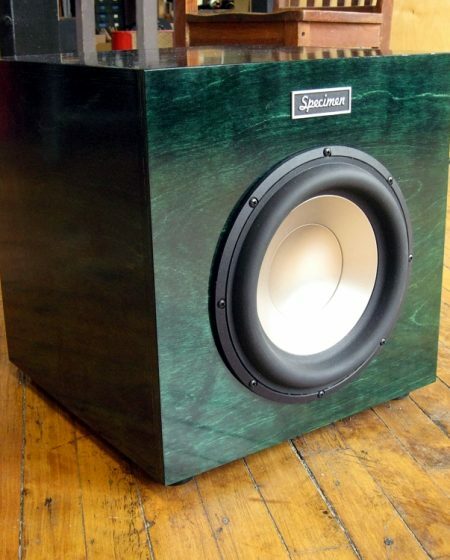 It is a small, 11-inch cube containing a 50-watt sub-woofer and two 25-watt satellite feeds for the Little Horn Minis. 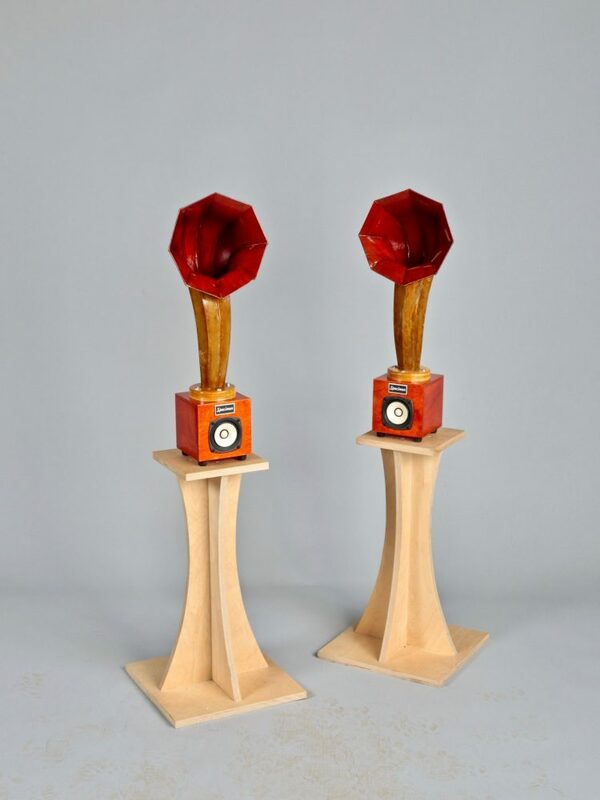 These audio horns are entirely handmade at our shop in Chicago, IL. The bases are made of premium quality Baltic birch plywood. The horns are made from recycled newsprint, dryer lint, and shellac, making them by far the most eco-friendly Specimens to date. Dryer lint is one of earth’s greatest squandered resources and we are now putting it to use. It has incredible strength from all the interlocking fibers. 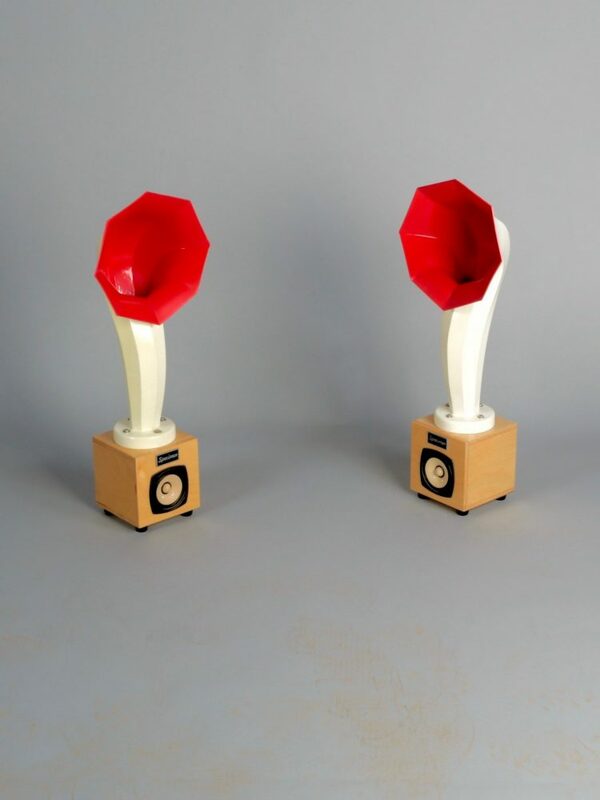 Each horn speaker is unique and embodies a variety of markings that result from the construction and finishing process. This creates an organic finish that lends a unique patina to each horn.